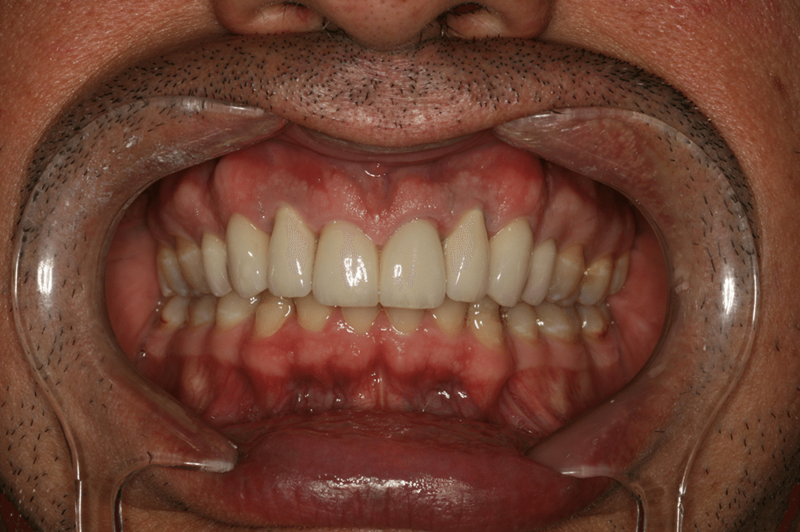 A healthy male presents with failing crown and root canal work. His two lateral incisors had significant periapical infections with a diagnosis being made of vertical root fractures due to the posts placed within the roots. Surrounding dentition was of sound health. 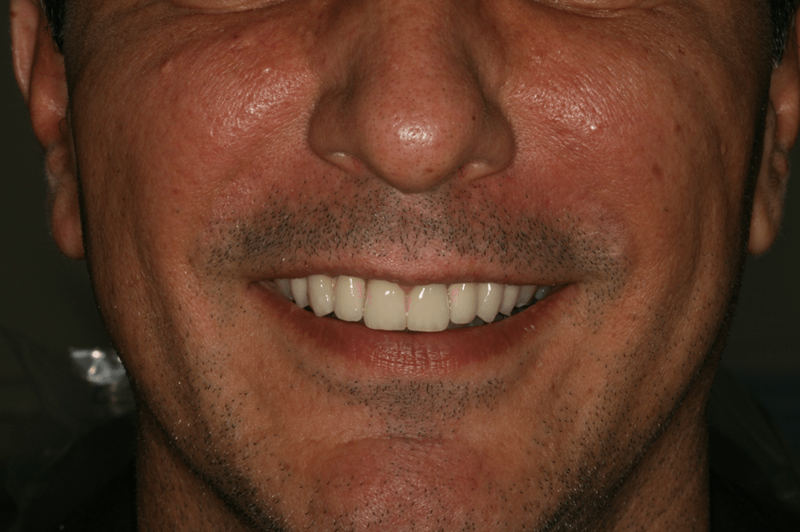 The patient had a high smile line with high expectations. Options of a partial denture, bridge work and implant supported crowns were offered. 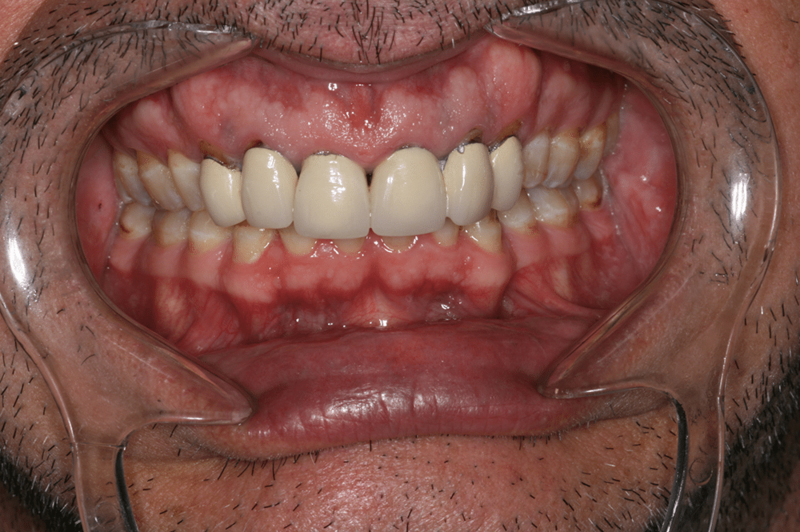 The patient did not want dentures and wanted to maintain the separation between the teeth and hence did not want bridges placed. 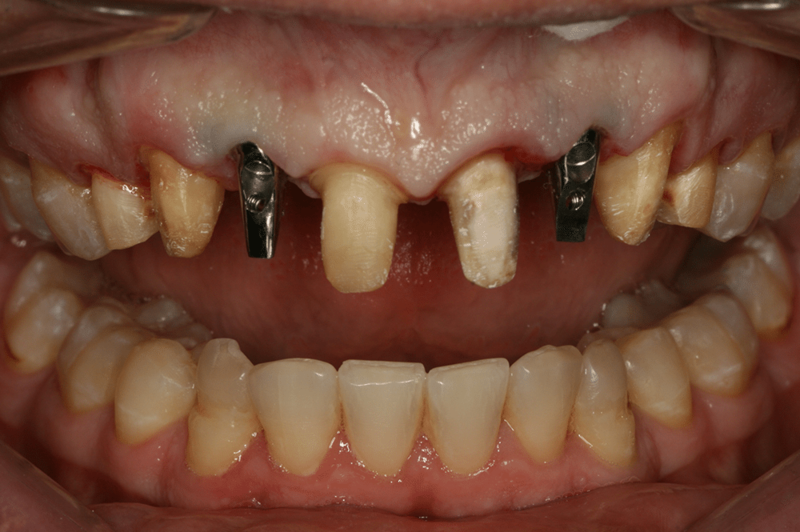 The lateral incisors were removed with minimal trauma, implants were placed in the two lateral incisor positions and surrounding bony defects were grafted. 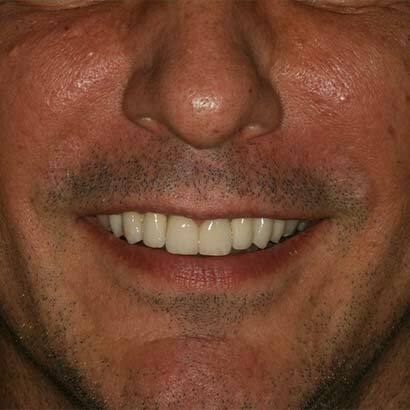 Crown lengthening procedures were done on the surrounding teeth to help improve the height of the teeth and give a fuller smile. Provisional crowns were placed on all the teeth and the implants were allowed to heal for several months. 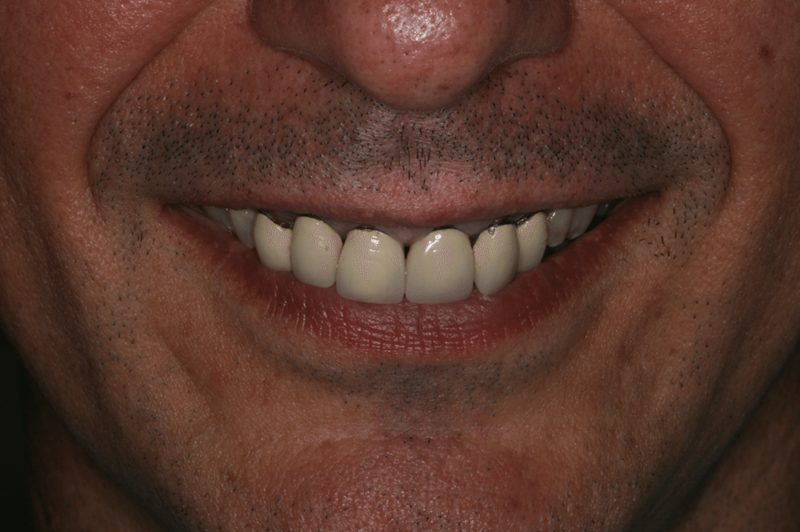 After the implants and gums were stable the teeth and implants were all restored providing a beautiful final result.